When it comes to anime, I’m always looking for the next show to keep me interested. While I watch a wide variety of genres, but horror will forever hold the number one spot in my heart; Higurashi scratches that itch in an extremely satisfying way. I had started this particular series several years ago and, and while I hadn’t seen more than a few episodes, it’s stuck with me since then, which speaks volumes about its quality. 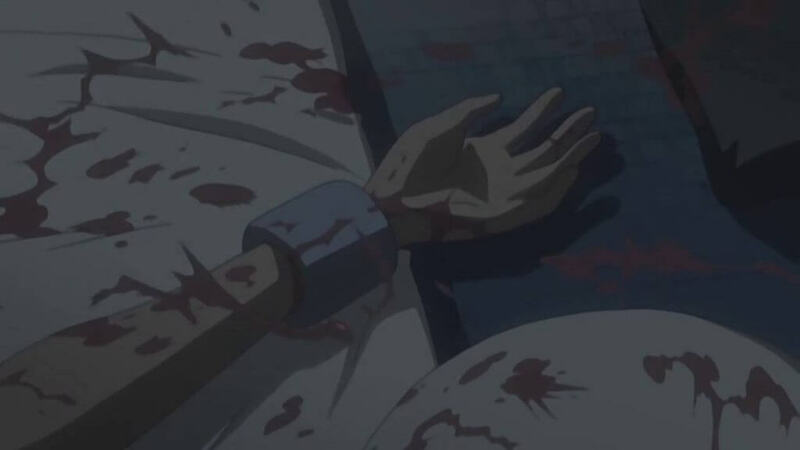 Now that I’ve finally finished the first season, I’m so mad at myself for not watching the rest of it sooner; Higurashi is one of those hidden gems that every fan of anime with a strong stomach should see. Higurashi is a difficult anime to describe. It’s definitely a psychological horror with some supernatural elements thrown in for good measure, but after finishing season one we’re still left with a lot of questions as yet unanswered. The best way I can explain the plot is: play nice, or your friends will die horribly. The entire point of the first season (maybe) is to show what could go wrong if you don’t trust the people around you, and how paranoia can spiral a perfectly normal situation out of control. Over twenty-six episodes we are treated to a sort of Groundhog Day experience where, after every four or five installments, the day or days seem to start over and everything goes back to normal. This happens again and again throughout Higurashi, each series of events becoming more creepy and messed up until there are some scenes that honestly shocked me. Along the way we end up seeing (at least) two sides to each story, and in addition to providing some clarity to each situation, Higurashi takes us deeper down the rabbit hole and shows us an even darker side to an already twisted story. Full disclosure: I prefer to watch Higurashi dubbed. I have seen it subbed as well, so I feel confident in saying the dub takes nothing away. other than my need to stare at the screen to know what’s going on. The voice actors are pretty good; not super, not terrible, but pretty good. They convey the appropriate emotions, oftentimes horror or mania, and in an anime where a lot of character distinction is important, these guys pull off multiple personalities like nobody’s business. That being said, there are still plenty of instances of squeaky-anime-girl voice which are both commonplace in the industry and still highly annoying to me as a fan. Granted, this is offset quite a bit by the change in personality each character goes through at some point or another (once again, it’s a huge testament to the voice actors’ skill that these alternate personalities have such an alarming presence), but in between these bouts of creeptastic voice acting, the high-pitched girly parts/chirping can sometimes be a bit much. Story progression is an interesting aspect of Higurashi. There is no linear progression… at all. The events unfold in a seemingly random manner, leaving the viewer to figure out what the heck is going on at any given moment. This is my favorite aspect (aside from how truly creepy it is) of this anime. You are constantly left guessing, never knowing what is going to happen next. While the story itself seems to take more steps backwards than forwards, this definitely doesn’t take away from the experience. I found myself genuinely confused a few times, but I feel that is sort of the point with a psychological horror; if everything was laid out neatly in front of you, it just wouldn’t be as fun. We do get some semblance of satisfaction at the end of this season, but as I’ve mentioned, there are still a LOT of questions that need answering. I think my biggest issue with this anime is the animation (go figure); that’s not to say it’s terrible, but there are some things about it that bug me. For instance: every female has legs the shape of the world’s thinnest baseball bat. After I saw this the first time, I couldn’t stop noticing it for the entirety of the season; their legs are so completely disproportionate to their bodies and lack any realistic definition. The bulk of the animation is fine, but every now and then there will be something odd, like an eyeball that’s just off or a lazily drawn hand that would catch my eye. I tried to keep track of these instances and they didn’t happen very often. For the most part, this doesn’t really detract from the show and is easily overlooked, but it is still worth mentioning. From subtle changes in the animation to outright horror scenes, Higurashi keeps you on your toes with your heart pounding. The music is extremely well done and sets the mood, adding suspense, highlighting a particularly grisly scene, or bringing the energy back up during the less… terrifying moments. I can truly say this anime scared me. While the initial few episodes really are more unsettling than graphic, this changes steadily as you move deeper into the story. By the end of the season I was staring wide-eyed and slack-jawed at my TV; things grow so dark and disturbing it’s hard to imagine how they could get any worse, but I guarantee season two will manage to ratchet the terror up even higher. Higurashi is the perfect anime for both casual and avid horror fans. There are plenty of genuinely scary scenes to keep you interested, which are perfectly contrasted by the lighter slice-of-life moments. There is none of the generic storytelling or plot twists you see coming a mile away; every reveal is a legitimate shock and drags you in deeper. The animation isn’t perfect, but it isn’t flawed enough to distract you from the action or take you out of the story. I am incredibly excited to see what we’re in for with season two. I have a feeling I’ll be needing a nightlight. 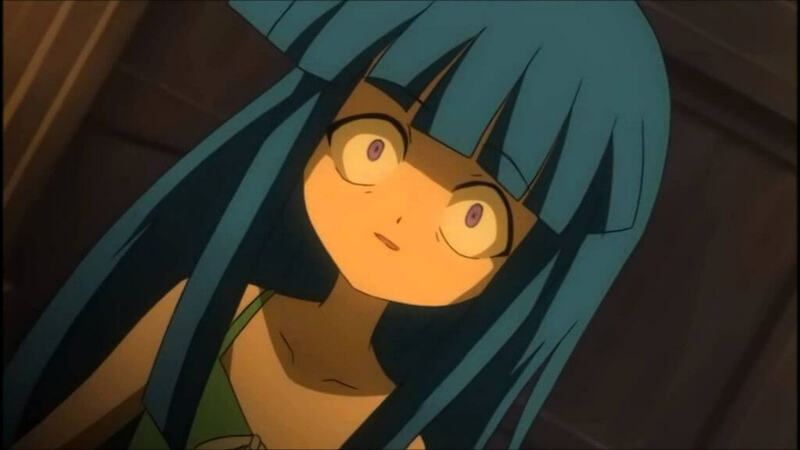 Higurashi is the embodiment of a psychological horror. While the animation can be off at times, this does nothing to detract from the truly disturbing nature of this show. I highly recommend any fans of horror or suspense give this one a try.